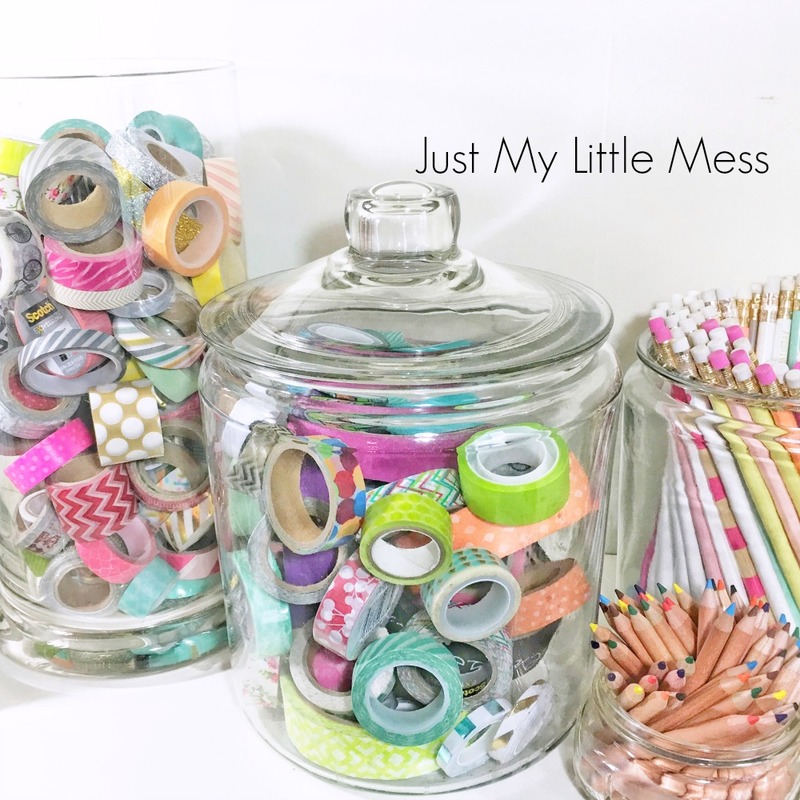 just my little mess: How Do You Store Your Washi Tape? I'm not embarrassed to say to own way too much washi tape. I need to find a way to store the tape better. How do you store your washi tape? I'm storing them in amazing over sized jars. They are all clear and I could see all the tape, however when I need to use them, I need to pour them all out to get to the colors needed. I do love the way this looks, however, not a big fan of pouring them out each time I need to use them. I've been seeing this idea on Pinterest and thought I would give it a try. Have any of you tried using embroidery hoops to store your washi tape? I love embroidery hoops. Or is there a better way?